Apart from rose, the heart is often a metaphor for love. 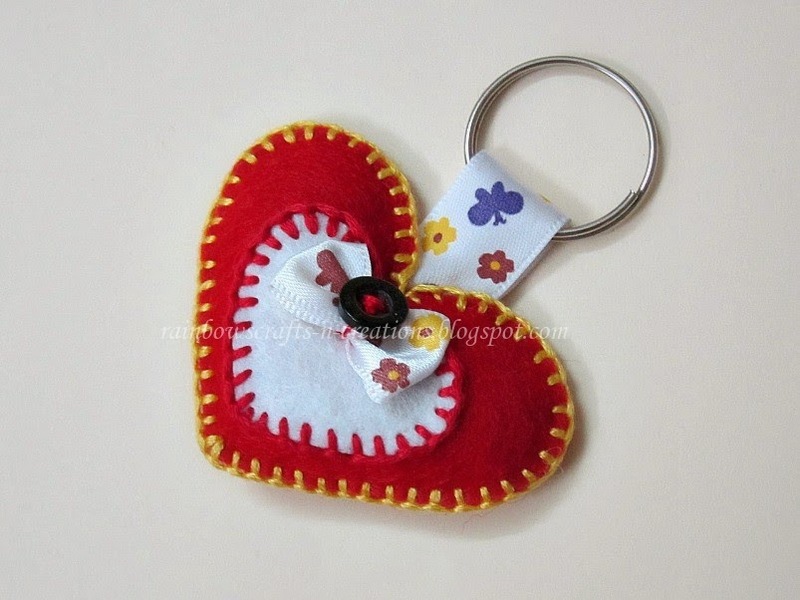 Giving away a small heart gift to your beloved might be a good gesture of a feeling that cannot be described by words. You can say it with a heart felt keyring. Let do it now. To make the paper heart patterns, you can use computer software to draw and print them out. Of course you can draw by hand. 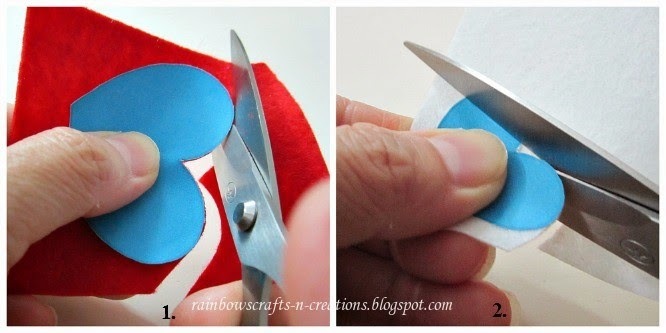 After you cut them out and then put them on different colors felt respectively. Hold the pattern firmly and cut around the pattern piece. You need two pieces of big felt heart and one piece of small felt heart. 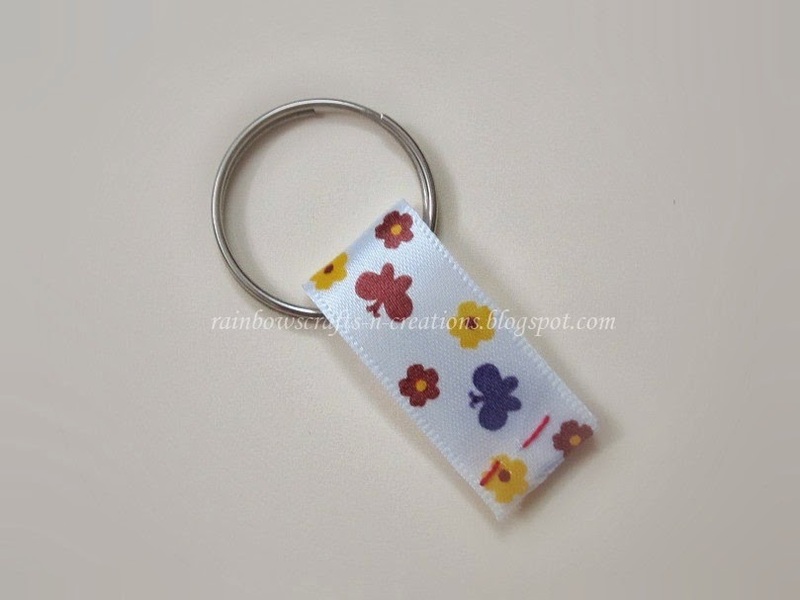 Take a piece of 6cm printed ribbon and slip the keyring onto the ribbon. Fold the ribbon in half and baste the ends together. A ribbon loop with keyring is done and set it aside. Now, make a bow with another 6cm printed ribbon. Fold the ribbon in half with the short ends overlapping each other at the centre . Then twist the folded ribbon in a bow. Thread the needle and insert it through the twisted part. Pull the thread through and tie the thread around the centre part as shown in the photo. Tie a knot and cut the thread. Set it aside. 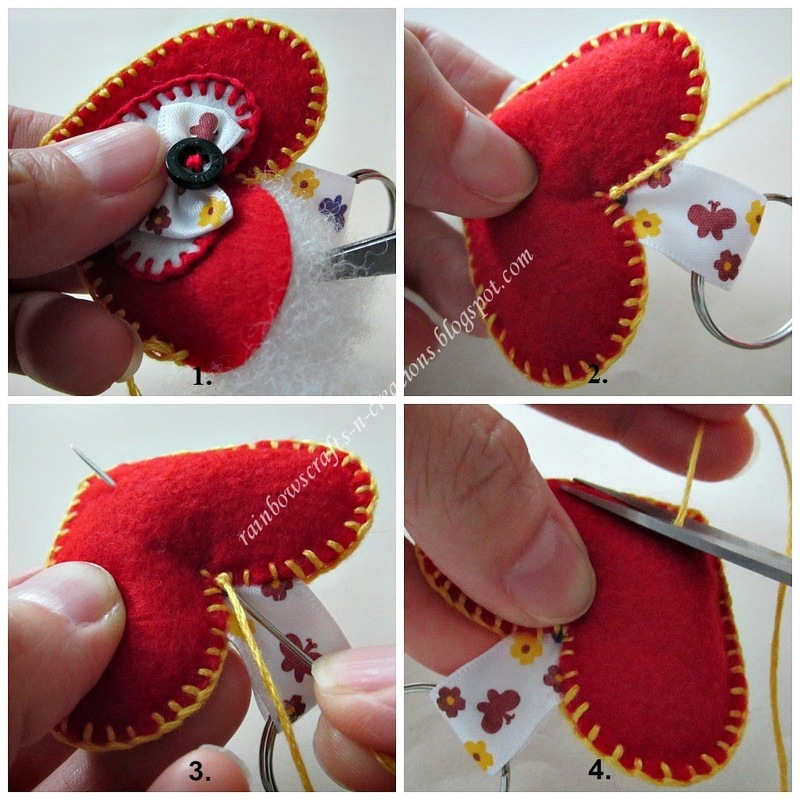 Pin the small heart felt onto one of the big heart felts and sew it with blanket stitch. 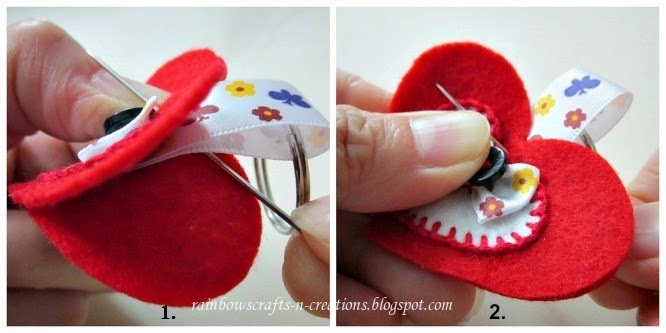 After that sew the ribbon bow and the button onto the heart as shown in the photo. The heart piece is looks good now. Now, pin or hold the decorated heart piece with another big heart piece together. Put the ribbon loop in between the two felt heart pieces at the centre of the top end. Leaving about 3/4" of the ribbon loop exposed. Start your fist stitch with a space of 1mm from the centre of the top end by inserting the needle from the bottom of the ribbon loop, so the knot of the thread is hidden inside the felt pieces. 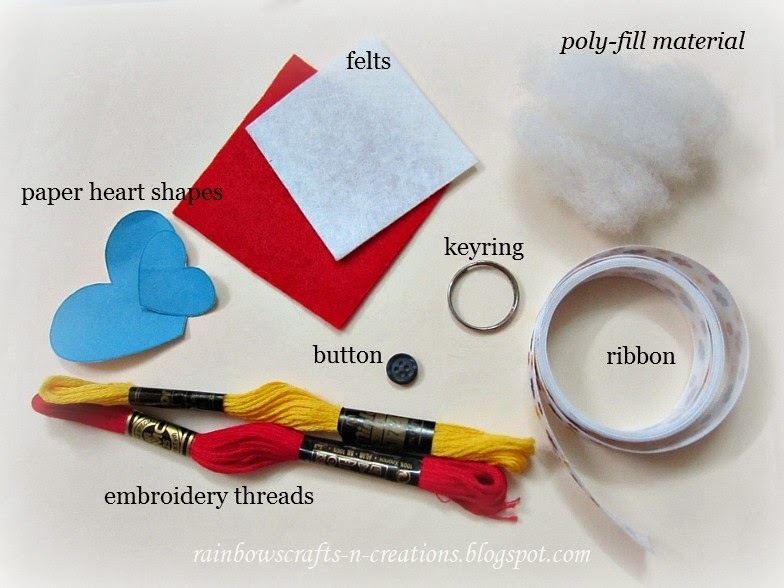 Sew the edge with blanket stitch and stuff the heart with poly-fill material before you reach to the end of stitching.When you come to the last stitch, tie a knot at the back then insert your needle under the knot and come out at somewhere of the heart. Pull the thread tight and cut. A loving keyring is in hand now.